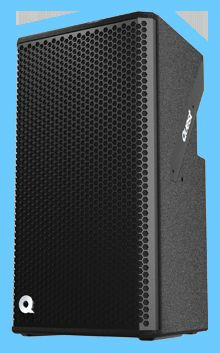 The HPI8i is a compact full frequency range multi-purpose 2-way passive speaker system designed for live sound and permanent installation. Priority in the design is focused towards strong voice projection capability in medium to larger venue spaces and the HPI8i can be installed as a complementary element to the HPI111 and HPI110 installation. It is suited to front-of house sound for mid to long throw applications in both stand-alone applications, as part of a small array or distributed system and can be installed in vertical or horizontal configurations.